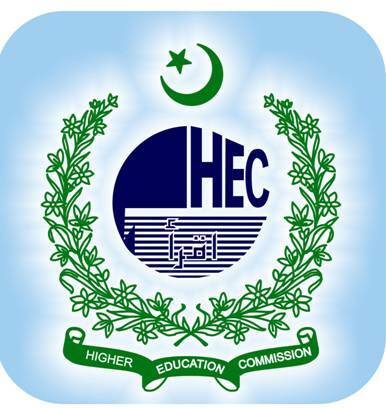 Higher Education Commission, Pakistan (HEC) has announced the ranking of Universities in Pakistan. This ranking is a quality indicator and this information will help shed light on key indicators of universities/ institutions in Pakistan to allow students, parents, potential employers and all other stakeholders to make informed decisions regarding higher education institutions. A statement issued by HEC said that the primary purpose of the ranking exercise is to share with the general public a comprehensive data on the key issues that determine the state of higher education in a particular institution. Main objectives of this ranking are to drive the HEIs towards improved Quality & Research and to promote a culture among Pakistani Universities for participation in the World Rankings of Universities. Ranking criteria for the universities include Implementation status of Quality Assurance, Teaching Quality (Student Teacher Ratio, Ratio of PhD faculty to total faculty, Total PhD output for 2010, Computers, Library books etc), Research Facilities, Number of Papers Published by the University, University H Index etc. Universities/ Institutes established after December 2008 and universities based on distance learning education system (Virtual University and AIOU) are excluded from the ranking lists. Here is a list of Top-10 Universities in Pakistan according to Higher Education Commission of Pakistan. Universities have been ranked category wise of specialization to make it logical. Universities can only be comparable within the assigned category. Here is a list of large Pakistani universities with student enrolment of more than 7000. This is a list of 16 medium level Pakistani universities which have student enrolment between 3000 to 7000. Following 25 universities have student enrolment less than 3000 and categorized as Small General Universities. nice Air University at 10 in engineering.last time it was in 20es...proud to be Airan.!!!! !